Since reporting in our Fall 2018 newsletter that construction would begin Monday, September 16th, 2018, the project start date has been pushed back to Monday, October 8th, 2018. The duration of the project is expected to last five (5) weeks. The scope of the project includes the installation of a wall along the south edge of the second floor Youth Services Department. The design is intended to eliminate safety issues and cut down noise transferred between floors. At the same time, crews will be replacing ceiling tiles and installing new, brighter LED light fixtures above the first floor reading area and Teen space. Minimal closures are anticipated. At this point, the Library is set to close from Monday, October 22nd through Wednesday, October 24th. For the rest of the project, staff are expected to be able to offer all services as usual, with minor interruptions possible. Usual operating hours will remain intact, unless otherwise noted. 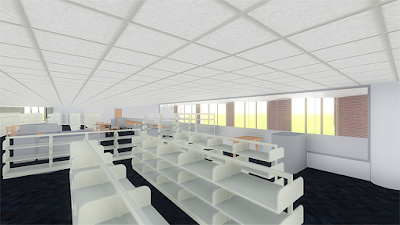 When visiting the Library during daytime construction hours, expect varying level of construction noise. Temporary construction walls will be utilized to separate the construction from patron spaces on both floors. Updates regarding closures and changes of hours of operating hours will be posted in the building, on our website, and on our Facebook page as early as possible. We apologize in advance for any unexpected disruption in services caused by this construction project. 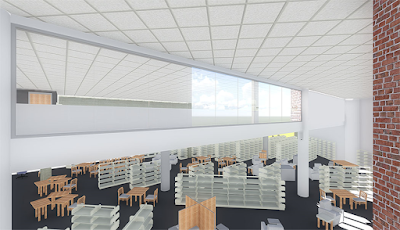 At this time we would also like to share our gratitude for the Roselle Public Library Foundation, which has pledged $15,000 toward the new light fixtures. Check back with us in late November to see the finished product. Our plan is to have everything finished by Celebrate the Season and the 3rd Annual Cocoa Crawl.